Here we will show you how to connect to the internet when using proxy servers. 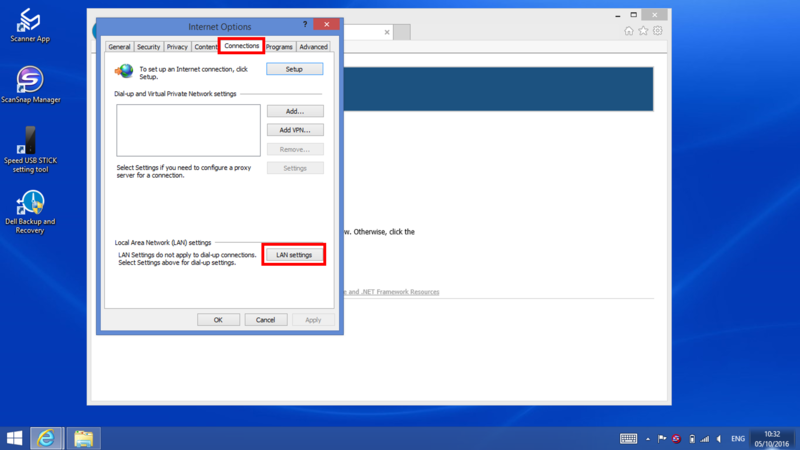 Depending on the type of proxy server, you may need to do settings in both Windows and on the Scanner App. *When inputting addresses, it is more convenient to use a hardware keyboard. Please prepare a USB connectable keyboard you have on hand. 1. 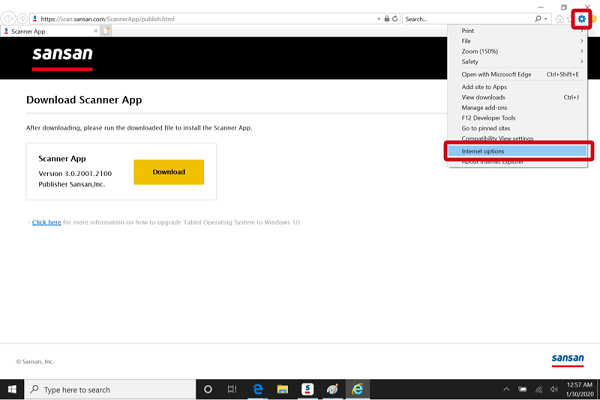 If the Scanner App is open, please click on "Power", then on "Exit Application". 2. 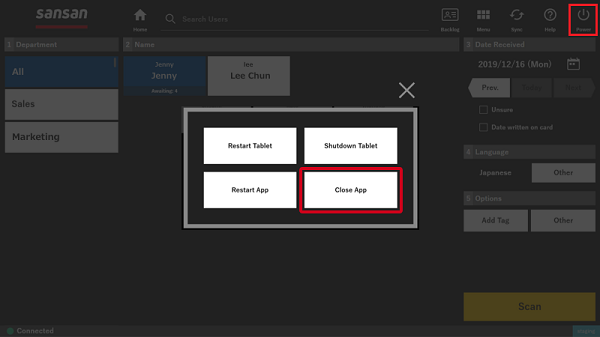 Click on the Internet Explorer icon, then the Gear icon, and the click on "Internet options". 3. 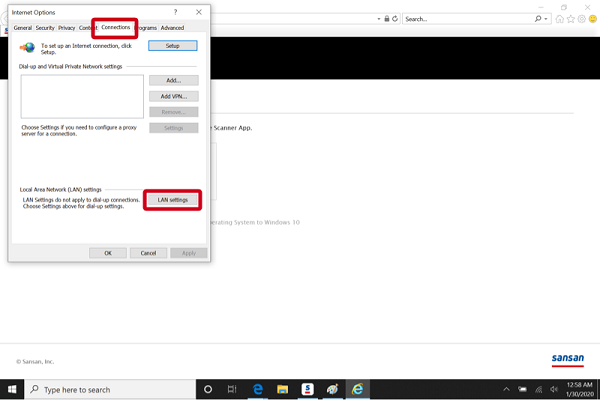 Click on the "Connection" tab, and click on "LAN settings". 4. Do the settings for the proxy server. 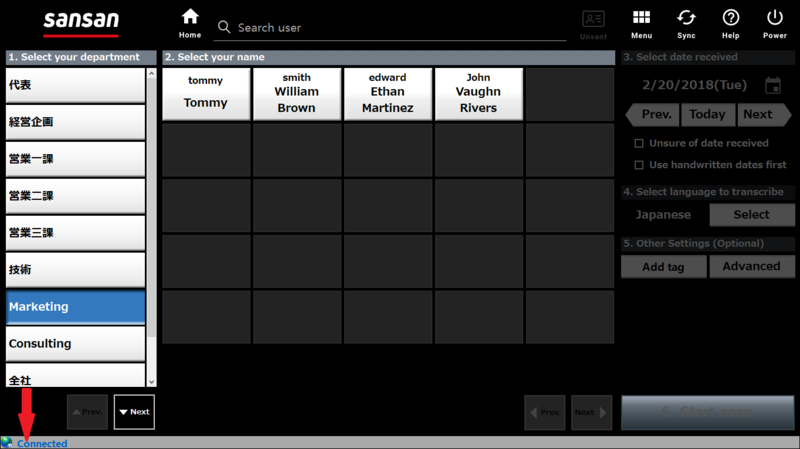 After you have finished inputting, click on "Ok", and close the window. 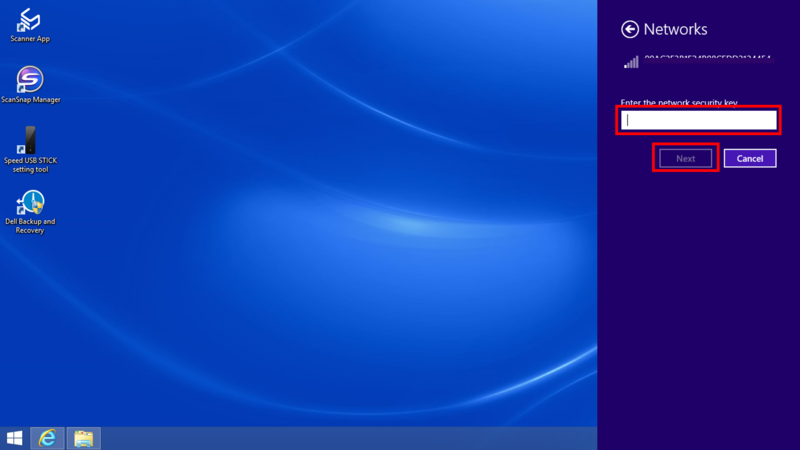 When you click on the Scanner App icon, the Scanner App window will come back. 5. From "Menu", click on "Settings". 6. 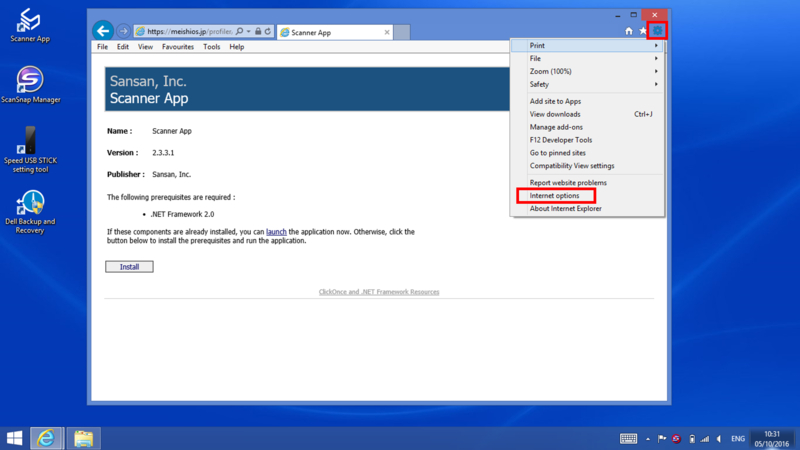 Click on the "Application Settings" button. 7. Put, a check in "Use proxy server", input the user name and password, and then click on "Update". With this the settings for the Scanner App for the proxy server are finished. 1. During setting up the devices, as the network settings are not finished, the following screen may come up. Click on "Power" in the upper right, then on "Exit Application", and then do the network settings. 2. 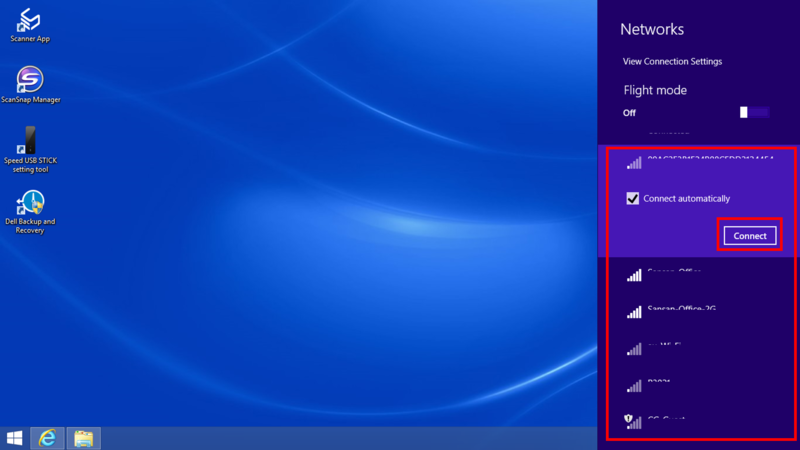 If a network security key is required for you wireless Wi-Fi, click on ICON on the task bar. 3. A list of access points you can connect to will be displayed. Choose the desired access point and then click on "Connect". *Place a check in "Connect automatically". 4. Input the network security key and then connect. 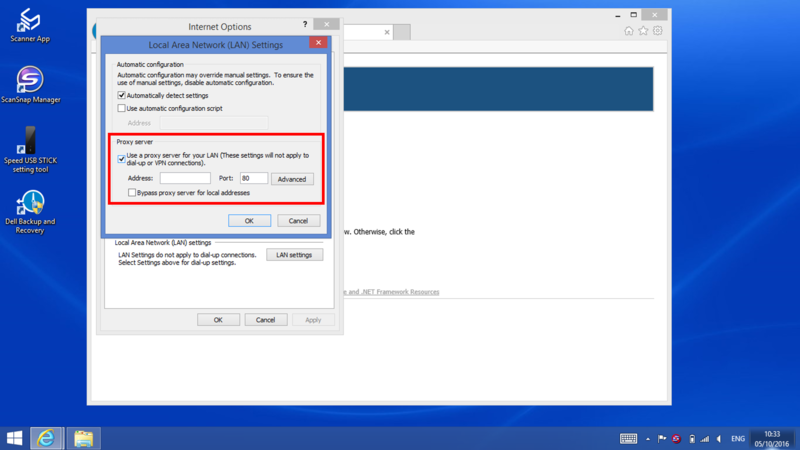 -If the "Settings for network location" window comes up, choose "Internal network". *Depending on the device, a window for ESET (security software) may come up. If the ESET window comes up, please choose the following settings. -For the ESET "New network has been detected" window, select "Protect strictly". 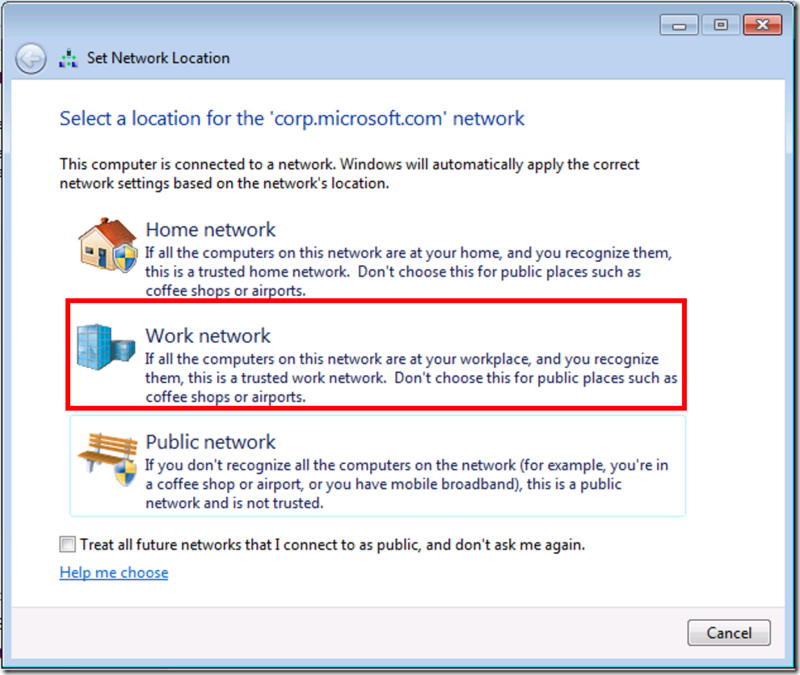 -For the "Settings for network location" window, choose "Work network". 6. 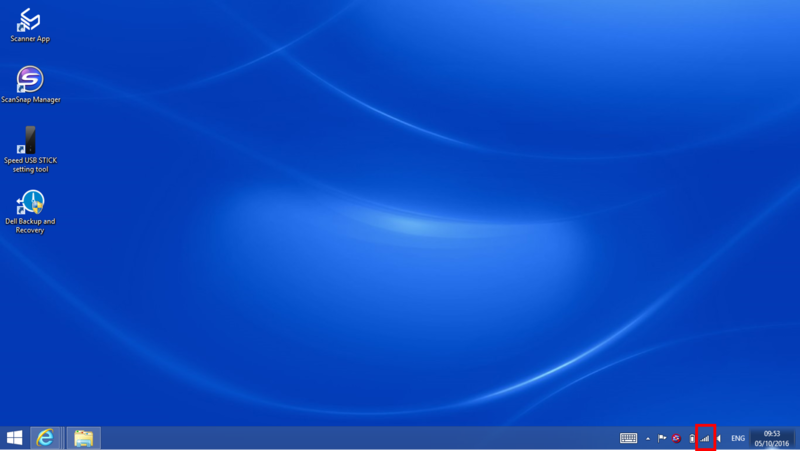 Click on the Scanner App icon on the desktop to open the scanner app. 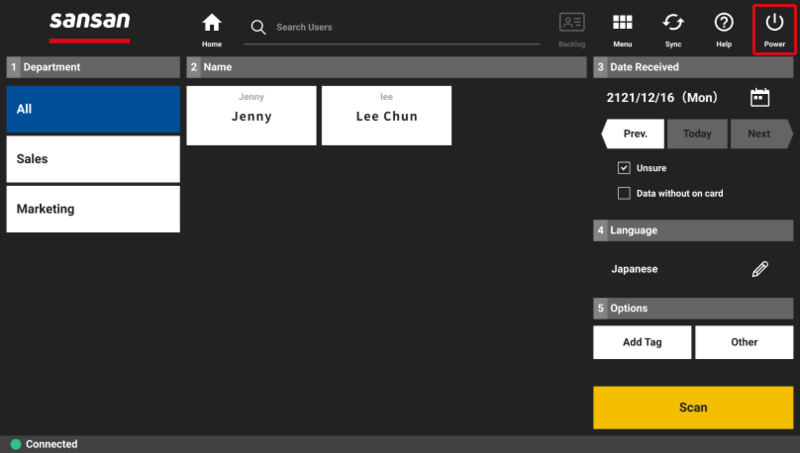 If "Connected" appears in the lower left of the screen, then the set up is complete. If it does not appear, please contact the support center.